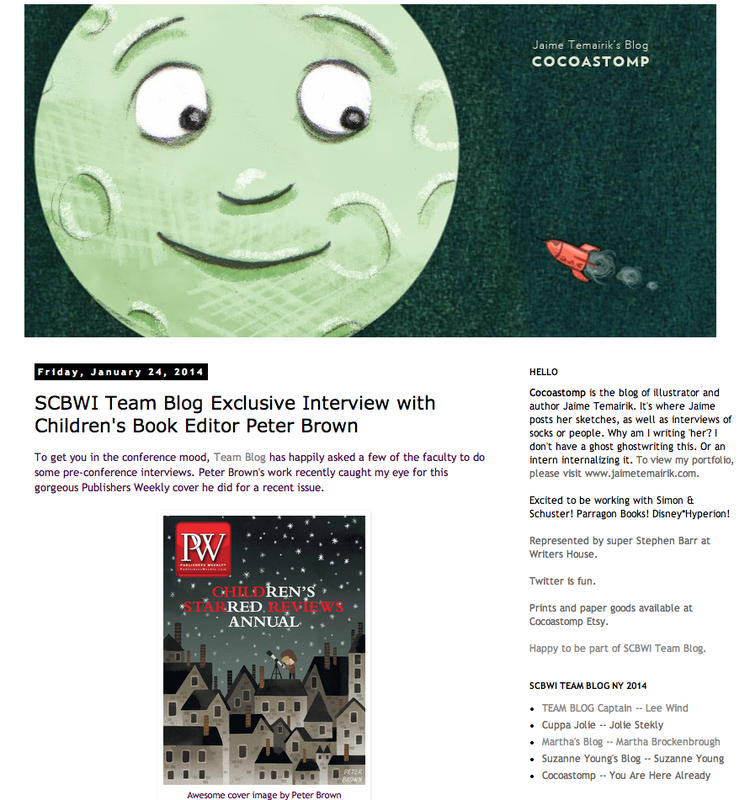 Check out Jaime Temairik's rollicking, silly and informative interview with Executive Art Director and Associate Publisher at Penguin's Dial Books for Young Readers, Lily Malcom. We even get to see her office. To get to see Lily Malcom in person (and Jack Gantos, Sharon Draper, Kate Messner and Elizabeth Wein! 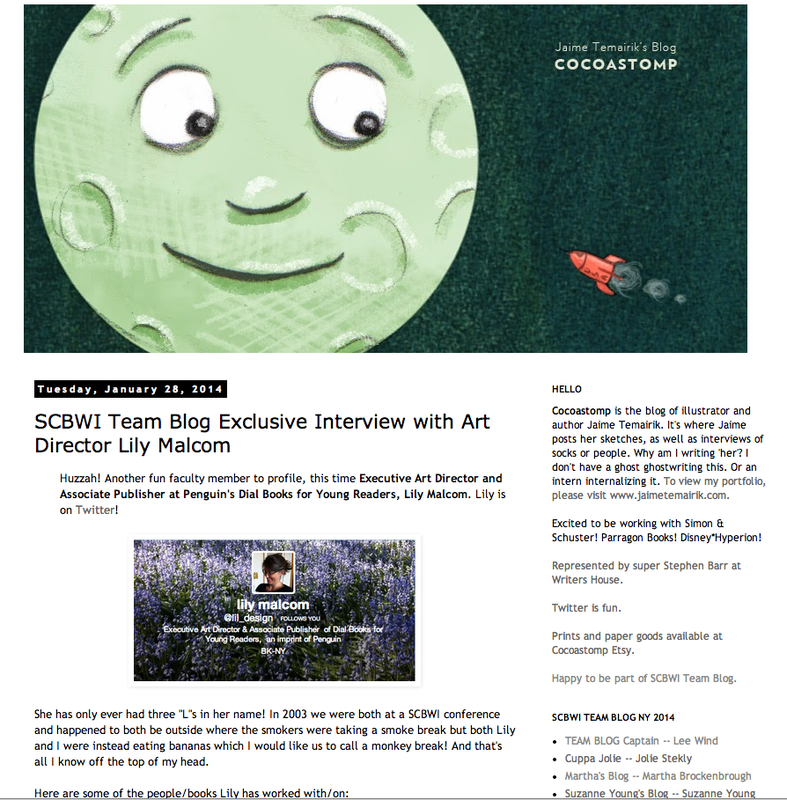 ), you'll have to be at the upcoming SCBWI Winter Conference in New York City, February 22 and 23, 2014. While the intensives on Friday February 21 are sold out, there are a limited number of spaces still available for the main Saturday and Sunday of the Conference. Ready to snort milk out your nose? Grab a glass and click on this link to check out the hysterical chat Jaime Temairik had with conference faculty member Peter Brown. 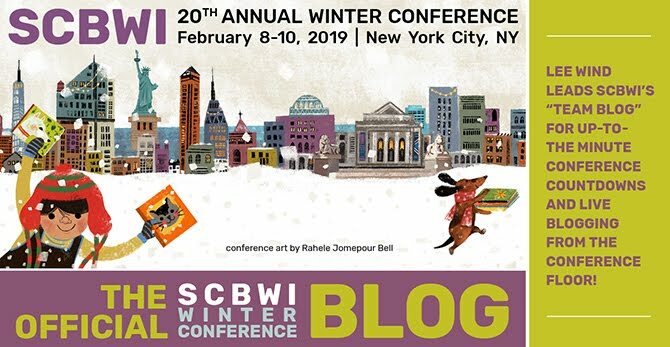 and then check out all the information about the upcoming SCBWI Winter Conference in New York City, February 22 and 23, 2014. While the intensives on Friday February 21 are sold out, there are a limited number of spaces still available for the main Saturday and Sunday of the Conference. Feb 21-23 is coming up soon, and in the ramp-up of excitement for the 2014 SCBWI Winter Conference in New York City, Jolie Stekly interviewed conference faculty member, award-winning author (of picture books and novels for teens) Kate Messner. "Most days, after I write a scene or two, I go back and revise my outline, so it’s not a strict guideline but more of a fluid document that changes as I grow to understand my characters more fully." Workshops are filling fast, and early registration ends tomorrow at 5pm Pacific Time. We hope you'll join us! Go here for all the conference information.